Elegance, design and over all, comfort. 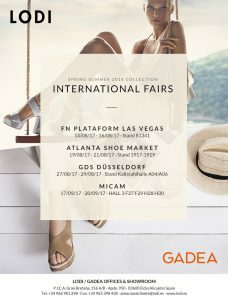 The three values, the three characteristics that describe the spirit with which Gadea Wellness Shoes manufactures each of its models. Authentic “Made in Spain” shoes, with the reliability that stems from the experience and passion of a brand and a team who love their work. The secret? 80 expert hands that give shape to patterns, lasts and leathers in a dynamic process that converts a simple sketch into a comfortable, well designed shoe. Much more than a dream come true, which every season is better than the one before.